Mr. Swirsky currently serves as President and Chief Executive Officer of Rexahn Pharmaceuticals, Inc., a publicly-traded clinical-stage oncology company. 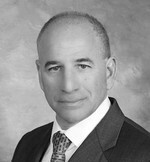 Prior to joining Rexahn, Mr. Swirsky served as President and Chief Executive Officer, and a Director of GenVec, Inc.; a position he held from 2013 through the sale of the company in June 2017. From 2006 through 2014, he served as Senior Vice President, Chief Financial Officer, Treasurer and Corporate Secretary of GenVec. Prior to joining GenVec in September 2006, Mr. Swirsky worked at Stifel Nicolaus where he served as a Managing Director and the head of Life Sciences Investment Banking. Previously, Mr. Swirsky held investment banking positions at UBS, PaineWebber, Morgan Stanley, and Legg Mason. His experience also includes positions in public accounting and consulting. Mr. Swirsky currently serves as Chairman of the Board of Fibrocell Science, Inc. and a member of the Board of Directors of Pernix Therapeutics Holdings, Inc. He received his undergraduate degree in Business Administration from Boston University and his Master of Business Administration from the Kellogg School of Management at Northwestern University. Mr. Swirsky is a Certified Public Accountant and a CFA® charter holder. Mr. Caruso was appointed Cellectar Biosciences’ President and Chief Executive Officer and a director in June 2015. A life sciences executive with 27 years of professional success with multinational and specialty pharmaceutical companies, mid-tier biotechnology and medical device start-ups, Mr. Caruso has an established track record of enhancing value through a clear focus on strategic corporate value drivers and operational excellence; fostering high performance cultures and advancing product development and commercialization programs through internal execution and corporate collaborations. He comes to Cellectar Biosciences from Hip Innovation Technology, a successful private medical device company where he was a founder and served as Executive Vice President and Chief Operating Officer. 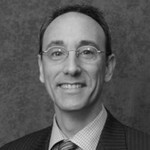 Prior to his time at Hip Innovation Technology, he was Executive Vice President and Chief Commercial Officer of Allos Therapeutics, Inc., an oncology company acquired by Spectrum Pharmaceuticals, and Senior Vice President, Sales and Marketing, at Bone Care International, Inc., a specialty pharmaceutical company that was acquired by Genzyme Corporation. 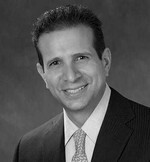 In addition, Mr. Caruso has held key leadership positions with multinational pharmaceutical companies, including Novartis, where he was Vice President of Neuroscience Specialty Sales; BASF Pharmaceuticals-Knoll, where he was Vice President of Primary Care and Specialty Sales; and 12 years at Bristol-Myers Squibb Company in senior sales and marketing roles. Mr. Caruso earned a Bachelor of Science degree in Finance from the University of Nevada. He currently serves on the Board of Directors for Hip Innovation Technology. Mr. Driscoll served as Chief Financial Officer at Flexion Therapeutics (Flexion) from 2013 to 2017, spearheading a successful IPO in 2014. Prior to joining Flexion, he was chief financial officer at Novavax, Inc., a publicly traded biopharmaceutical company, from 2009 to 2013. 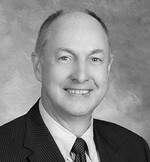 Previously, Mr. Driscoll also served as Chief Financial Officer from 2007 to 2008, and subsequently Chief Executive Officer from 2008 to 2009, at Genelabs Technologies, Inc., a publicly traded biopharmaceutical and diagnostics company that was acquired by GlaxoSmithKline; and Chief Executive Officer at OXiGENE, Inc., a biopharmaceutical company, from 2000 to 2006. He has also served as Chairman of the Board and Audit Committee Chair at OXiGENE and as a member of the audit committee for Cynapsus, which was sold to Sunovion Pharmaceuticals in 2016. Mr. Driscoll earned a Bachelor's degree in Accounting and Finance from Bentley University. Stephen A. Hill, B.M. B.Ch., M.A., F.R.C.S. Dr. Hill has been a member of the Board of Directors since 2007 and served as its Chairman from 2007 until 2015. Dr. Hill has served Faraday Pharmaceuticals' Chief Executive Officer since August of 2015. He previously served as CEO and President of Targacept, Inc., a biopharmaceutical company developing a diverse pipeline of NNR Therapeutics. In August 2015, Targacept merged with Catalyst Biosciences Inc. Prior to joining Targacept, Dr. Hill served as President of Solvay Pharmaceuticals, Inc. from 2008 to 2010. Solvay was acquired by Abbott Labs in 2010. 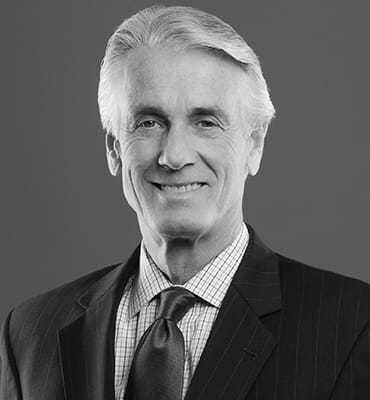 From 1999 to 2008, Dr. Hill served as President and CEO of ArQule where he successfully implemented the company’s transition from a chemistry services platform to an integrated research and development organization. From 1997 to 1999, Dr. Hill served as Global Head of Clinical Development for Roche Products. He currently serves on the board of directors for publicly held companies Catalyst Biosciences and Lipocine, Inc., in addition to Cellectar. 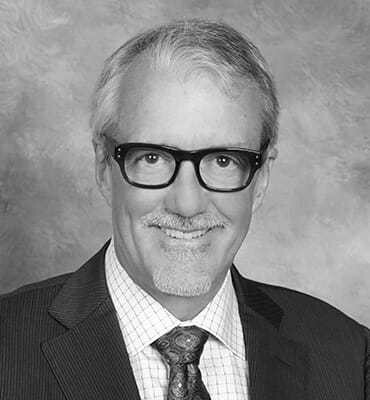 Dr. Hill earned his Bachelor and Medical degrees from The University of Oxford and practiced medicine in the field of Orthopedic Surgery prior to his career in the biopharmaceutical industry. Dr. Hill’s extensive experience in a broad range of senior management positions with companies in the life sciences sector makes him a highly qualified member of our Board of Directors. Dr. Loren began serving as director of Cellectar in June 2015. Dr. Loren is a member of the Audit Committee and Chair of the Nominating and Corporate Governance Committee. Dr. Loren is the founder of Loren Capital Strategy (LCS), a strategic investment firm focused on life science companies. Most recently, he headed the life science practice of Westwicke Partners, a healthcare-focused consulting firm. Prior to joining Westwicke, he worked as an Analyst/Portfolio Manager with Perceptive Advisors, a health care hedge fund, and MTB Investment Advisors, a long-term oriented family of equity funds. His focus areas included biotechnology, specialty pharmaceuticals, life science tools, and health care service companies. Prior to moving to the buy side, Dr. Loren was Managing Director, Health Care Specialist/Desk Analyst for Legg Mason where he discovered, evaluated, and communicated investment opportunities in the health care area to select clients. In addition, he assisted both advising management teams on strategic options. He started his Wall Street career as a sell side analyst at Legg Mason covering biotechnology, specialty pharmaceuticals, life science tools, pharmaceuticals, and chemistry outsourcing companies. In his research career, Dr. Loren was an early member of Abbott Laboratories Advanced Technologies Division, analyzing and integrating new technological advances in Abbott's pharmaceutical research. Before industry, he was a researcher at The Scripps Research Institute, working with Nobel Laureate K. Barry Sharpless on novel synthetic routes to chiral drugs. Dr. Loren received a doctorate degree in Organic Chemistry from the University of California at Berkeley and an undergraduate degree in Chemistry from UCSD. His scientific work has been featured in Scientific American, Time, Newsweek, and Discover, as well as other periodicals and journals. Mr. Neis has served as Director of Cellectar since February 2008. Mr. Neis has been Managing Director of Venture Investors LLC since 1986 and heads the firm’s Healthcare practice. He has more than 23 years’ experience in the venture capital industry and has served on the Board of Directors of numerous companies from formation through initial public offering or sale. Mr. Neis currently serves on the Boards of Directors of Virent, Inc., Deltanoid Pharmaceuticals, Inc., and Inviragen, Inc. He is a former member of the Boards of Directors of several firms including TomoTherapy, Third Wave Technologies (acquired by Hologic) and NimbleGen Systems (acquired by Roche). Mr. Neis was appointed to the Board of the Wisconsin Technology Council and the Wisconsin Growth Capital Coalition. He also serves on the advisory boards for the Business School, the Weinert Applied Ventures Program and Tandem Press at the University of Wisconsin – Madison. Mr. Neis holds a Bachelor of Science degree in Finance from the University of Utah, and a Master of Science degree in Marketing and Finance from the University of Wisconsin - Madison. He is a Chartered Financial Analyst. Mr. Neis’ extensive experience leading emerging companies makes him a highly qualified member of the Board.